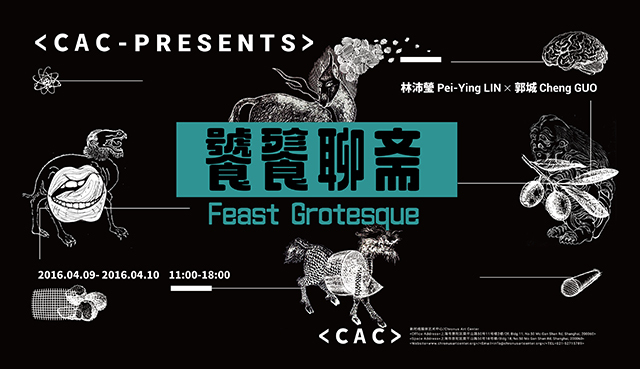 This two-day workshop will dive into the plot of Liaozhai Zhiyi, invites the participants to investigate the narrative through taste and the physical movement of swallowing in the form of molecular gastronomy. Can we re-tell the stories in Liaozhai Zhiyi through adopting the mouth as receptor, the molecules swallowed as information, the action of taking as the way of reading? Will it be a new type of mystery fiction when molecules trigger strange physiological reactions? NO TECHNICAL BACKGROUND IS REQUIRED. Most of the materials and equipment for the workshop will be provided (during the period of the workshop) by CAC. Some materials and equipment should be returned to CAC by the end of the workshop. By the end of the workshop, participants will make molecular gastromomy. The works will be presented through tasting and swallowing combining with visual and other sensory stimulation. Pei­-Ying LIN graduated from MA Design Interactions, Royal College of Art, and has a bachelor degree in Life Science from National Tsing Hua University. She has won the Honorable Mention in Hybrid Arts from Ars Electronica 2015 with project PSX Consultancy. The project now is a permanent collection of MAO (Museum of Architecture and Design) in Slovenia. The same project has won 2015 Core77 Speculative Concepts professional runner up. She also had a one month residency as a part of the Accelerate@CERN program as the very first asian female artist, and one of the two Taiwanese representative. She has been collaborating with Martin Hanczyc on protocell project Living Ashes. Her projects covers between the realms of new media art, interactive art, physics, biology, philosophy, cultural studies, 3D printing, digital manufacturing, languages, emotions all the way to dance and performances. Cheng GUO is an artist whose work mainly focuses on exploring the interrelation between mainstream/emerging technologies and individuals under the context of social life, culture and ethic, and uses speculation as a way to create narrative within alternative/future scenarios through installation, object and video. Guo obtained his BE from Tongji University, Shanghai, and MA from Royal College of Art, London. He is currently based in Shanghai, serves as Executive Director at Chronus Art Center and Visiting Lecturer at College of Design and Innovation (Tongji University).